Home Car Information The Electric Revolution? It’s not been an easy time to own a business which relies on a vehicle fleet to carry out its operations in recent years, with the price of fuel becoming an increasing problem. This is a problem which has not gone unnoticed by major vehicle manufacturers such as Renault who believe that the answer to the problem could well electric. But is this really a practical option? A recent survey by UK based price Comparison Company MoneySupermarket found that over 60% of vehicle owners will actively look for a more environmentally friendly option the next time they are looking to buy a new motor due to the rising cost of petrol at the pumps. However, businesses have been even more badly affected; with a study by financial services company Bibby finding that 80% of small businesses are struggling financially due to these rising prices. Companies who rely on their vehicle fleet to carry out their operations are obviously the most vulnerable to this. Vehicle repair firm ‘Car Medic’ claims that their fuel bill has risen by over 30% in recent times. Bibby claims that 52% of companies who are affected in this manner will simply pass on the additional expense to the consumer in the form of higher basic prices. Of course, the problem with this strategy is that it will likely drive down sales and hence still affect the company’s profitability. Of course fuel economy is partly dependent upon the weight carried in a vehicle; but a conventional 2.2 litre diesel Ford Transit medium roof has a combined fuel consumption figure of 39.2 miles per gallon (MPG) according to the manufacturer. A business with a Ford Transit van which completes 50,000 miles per year for instance would therefore spend approximately £8,000 per year on fuel alone with prices at their current rates. This is without thinking about road tax charging, with the Transit costing £250 per year to tax due to the fact that it produced 189 g/km of C02. Renault is set to be the first manufacturer to get an electric van to market this year in response to this, with the new Kangoo E.V. which is available from £13,592; over £4,000 cheaper than the before mentioned Ford Transit. Not only would business owners be saving in terms of the initial purchase price, but also in terms of fuel costs which are obviously what the vehicle has been designed to address. Renault estimates that it would cost just £2 for the average customer to complete the 6-8 hour recharge to ensure the battery is capable of its full 106 mile range each night. This would work out at a maximum of £730 every single year on the assumption that the van would be used to its full capacity every single day; a saving of over £7,000 per vehicle every single year which is a figure that is likely to increase further in the coming years as fuel prices continue to escalate. This is of course on top of the £250 road tax saving, with the Kangoo E.V. being exempt from road tax charges. 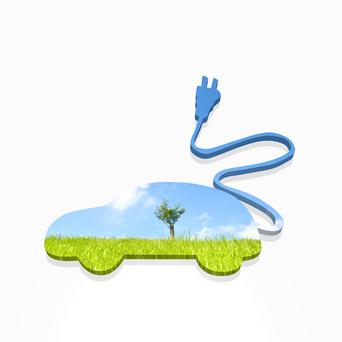 Van insurance companies may also look upon electric van owners positively, with many having been known to offer savings of up to 5% off the cost of annual premiums for owners of environmentally friendly vehicles. However, there are limitations. Not only will a home-based recharging unit cost around £1,000; but Kangoo E.V. owners will also be forced to pay £62 per month to rent the battery adding another £744 to the annual running costs. The contract governing the battery also stipulates an annual cap of 9,000 miles per year before currently unspecific additional charges begin to be applied. This simply won’t be good enough for the average SME. The limited 106 mile before 6-8 hour charges are required has also be cited by critics as one of the primary reasons why adoption of the Kangoo E.V. simply isn’t practical for most businesses. However, Renault has hit back claiming that 70% of van owners complete fewer than 60 miles every day. In an age when rising petrol prices are becoming an increasing threat to business profitability, the potential £5,750 annual running cost saving per vehicle is something which will no doubt prove to be hugely attractive. However, limiting each vehicle to 9,000 per year before applying additional charges to the battery rental fee is likely a significant handicap for businesses and something which Ford may want to reconsider when it comes to its own electric Transit van which could be put into mass production at any time. Of course the distance between charges and the actual recharging times are likely to be just as much of a concern for business owners. Even Renault itself admits that the limited range means that the Kangoo E.V. will not be a viable for everyone. One alternative which is currently being looked at by Mercedes and Honda in quite a lot of detail is hydrogen which could prove to be the answer to all of these problems. Is hydrogen the real answer? Hydrogen fuelled vehicles are powered by an electric motor, but are not handicapped by the inconvenience of long recharging times or a limited range between charges. Owners would simply fill the fuel tank with hydrogen gas rather than petrol; a process which would take no longer than with conventional vehicles. Once in the tank, the hydrogen gas creates a fusion reaction with oxygen; a process which creates the electric energy required to power the engine. Honda was first manufacturer to release a hydrogen fuelled car which is currently available in California and certain areas of Japan. The range of the vehicle is believed to be in excess of 200 miles between refills. This sort of range accompanied by the unnoticeably difference in refill times surely means that hydrogen adoption will be a more realistic proposition for businesses if the powers that be can establish a sufficient hydrogen filling station infrastructure around the country. Scottish and South Electric (SSE) recently trialled hydrogen fuelled Ford Transits as part of its vehicle fleet in order to examine the potential of the technology. The results of this trail are currently being awaited. However, Garel Rhys, a motoring expert who works for Cardiff Business School has warned that internal combustion engines are likely to remain more popular than hydrogen for years to come due to the lack of hydrogen refilling stations. Nevertheless, at least there is now light at the end of the tunnel for business owners. The only question is whether it will come too late.